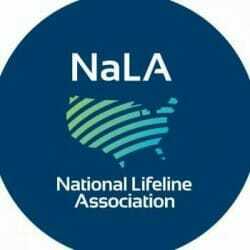 The National Lifeline Association (NaLA) commented on Q Link’s emergency petition for an order directing the Universal Service Administrative Company (USAC) to provide API Interfaces for the National Verifier. Q Link defends the need for APIs because they are critical for the Lifeline consumer enrollment process. 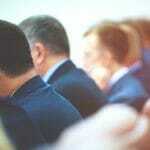 The use of APIs would make the application process for consumers much easier. A Q Link statement explains, “Without APIs, there would be no way for a consumer to benefit from carrier assistance when navigating the eligibility verification process online, or to complete both eligibility verification and service enrollment as part of a continuous online transaction.” Q Link also asserts that the APIs would decrease the USAC/NV’s administrative costs. 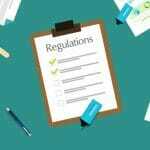 “Restoring APIs to permit machine-to-machine information transfers between ETCs and the National Verifier will cut USAC’s costs to deploy and operate the National Verifier, and thus reduce the burden on ratepayers and the USF,” they state. 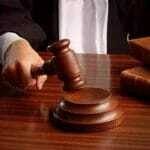 NaLA filed comments agreeing with Q Link’s emergency petition. NaLA agrees that the National Verifier without APIs would have a very negative impact on Lifeline consumers and Lifeline service business models. NaLA understands that machine-to-machine interfaces are essential to the accessibility for low-income consumers. 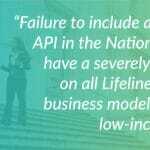 “Without a service provider API, consumers will be forced to go to an online portal to demonstrate eligibility, and then separately go to a Lifeline service provider to enroll for Lifeline service. This more difficult two-step process will disconnect millions of Americans from the enrollment process and expose others to data security risks, including phishing scams as described in the Q Link Petition,” NaLA explains in their comments. APIs are the connection between consumers and mobile wireless broadband and phone services. Millions of low-income Americans, including seniors, veterans, and disabled Americans could be denied access to data and phone services without the implementation of service provider APIs.